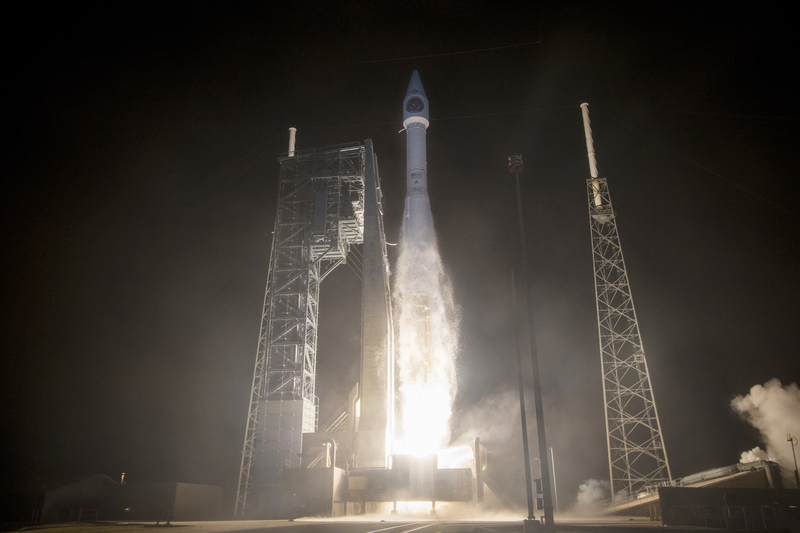 A United Launch Alliance (ULA) Atlas V rocket carrying the Air Force Space Command (AFSPC)-11 mission lifted off from Space Launch Complex-41 on April 14 at 7:13 p.m. EDT. 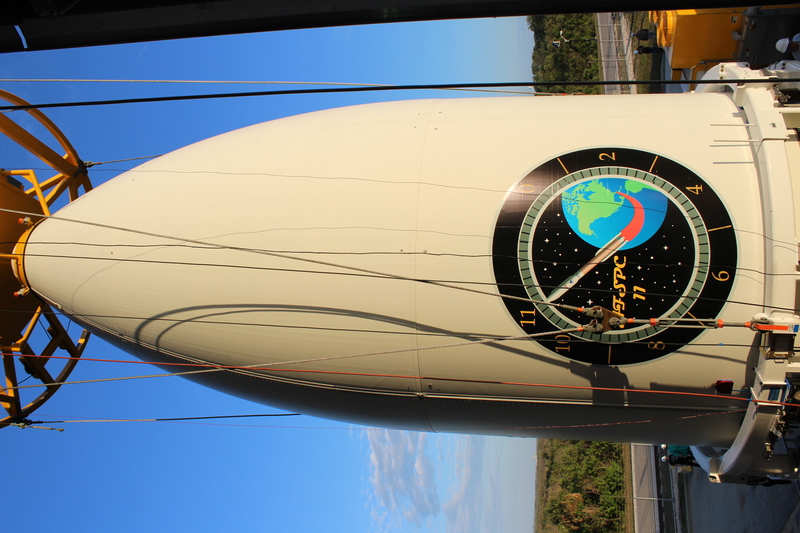 AFSPC-11 is a multi-payload mission. The forward payload is referred to as CBAS (Continuous Broadcast Augmenting SATCOM) and the aft spacecraft is EAGLE (EELV Secondary Payload Adapter (ESPA) Augmented Geosynchronous Experiment). «Today’s launch is a testament to why the ULA team continually serves as our nation’s most reliable and successful launch provider for our nation’s most critical space assets», said Gary Wentz, ULA vice president of Government and Commercial Programs. «I want to thank the entire ULA team, and the phenomenal teamwork of our mission partners». This mission was launched aboard an Atlas V Evolved Expendable Launch Vehicle (EELV) 551 configuration vehicle, which includes a 5-meter/16.4-foot large Payload Fairing (PLF). The Atlas booster for this mission was powered by the RD AMROSS RD-180 engine. 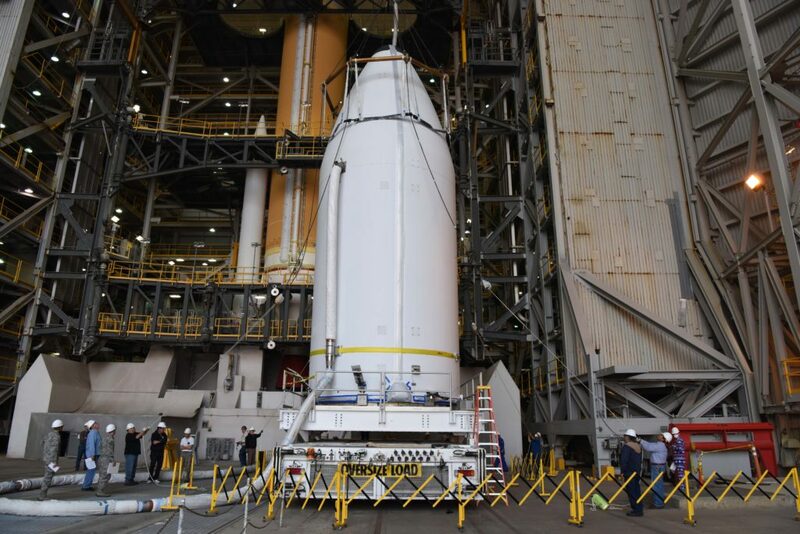 Aerojet Rocketdyne provided the five AJ-60A Solid Rocket Boosters (SRBs) and RL10C-1 engine for the Centaur upper stage. 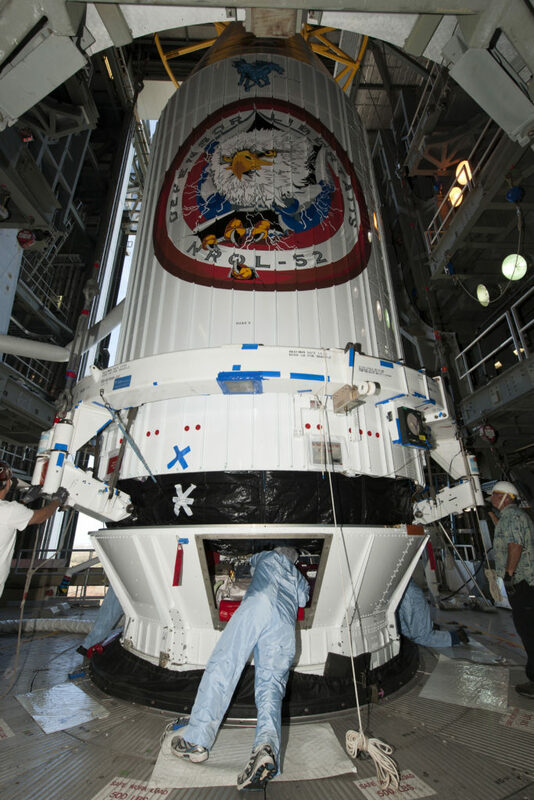 ULA’s next launch is the InSight mission for NASA on an Atlas V rocket. The launch is scheduled for May 5 at Space Launch Complex-3 at Vandenberg Air Force Base, California. A United Launch Alliance (ULA) Atlas V rocket carrying the Space Based Infrared System (SBIRS) GEO Flight 4 mission lifted off from Space Launch Complex-41 on January 19 at 7:48 p.m. EST. SBIRS is considered one of the nation’s highest priority space programs, and is designed to provide global, persistent, infrared surveillance capabilities to meet 21st century demands. 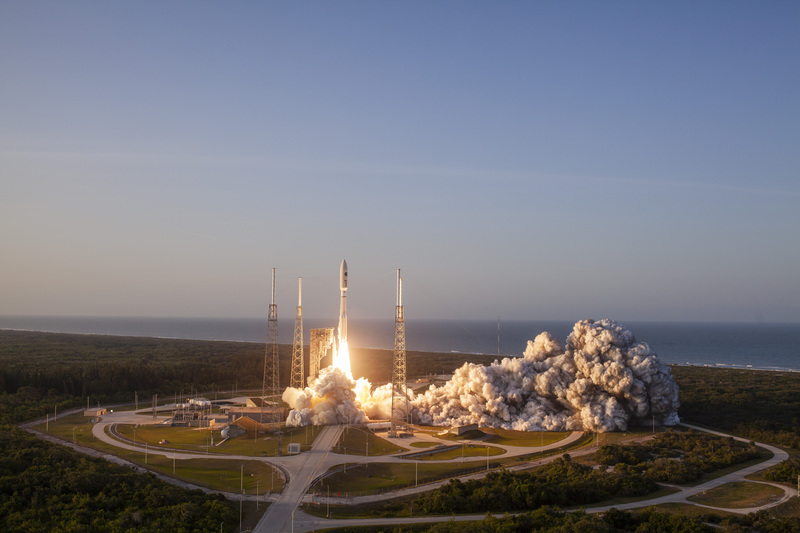 «Meeting the challenge of launching two critical national security missions from opposite coasts within a week, the entire ULA team once again demonstrated its unwavering dedication to 100% mission success», said Laura Maginnis, ULA vice president of Government Satellite Launch. «Thank you to our U.S. Air Force and industry teammates for their outstanding partnership in successfully delivering SBIRS to orbit today». 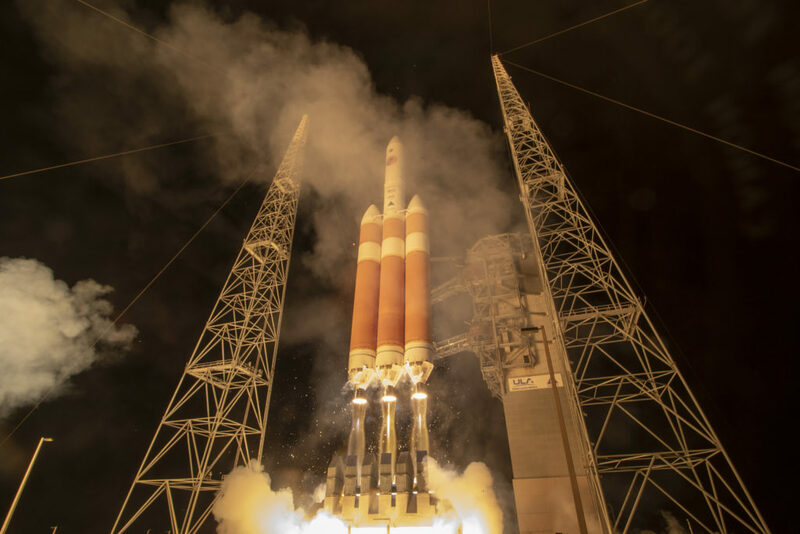 A United Launch Alliance (ULA) Delta IV rocket carrying a payload for the National Reconnaissance Office (NRO) lifted off from Space Launch Complex-6 on January 12 at 2:11 p.m. PST. Designated NROL-47, the mission is in support of national defense. 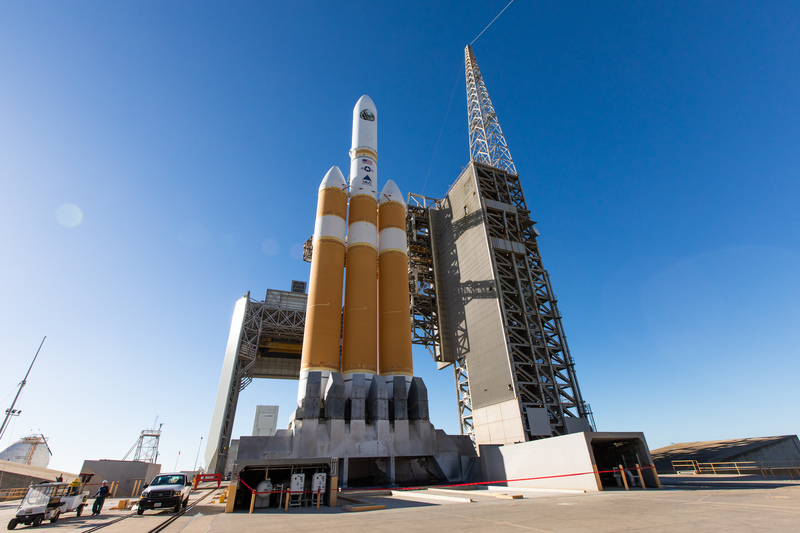 «As the nation’s most trustworthy launch provider, today’s launch exemplifies ULA’s ongoing commitment to 100 percent mission success», said Will Crawford, ULA’s NRO program manager. «My sincere thanks to the entire ULA team and our mission partners at the NRO and U.S. Air Force who made this, our 27th NRO launch, possible». 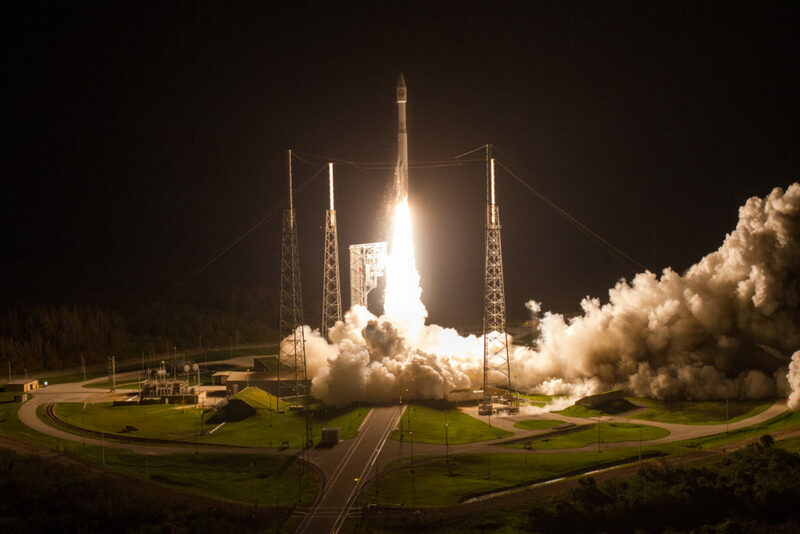 A United Launch Alliance (ULA) Atlas V rocket carrying a payload for the National Reconnaissance Office (NRO) lifted off from Space Launch Complex-41 on October 15 at 3:28 a.m. EDT. Designated NROL-52, the mission is in support of national security. 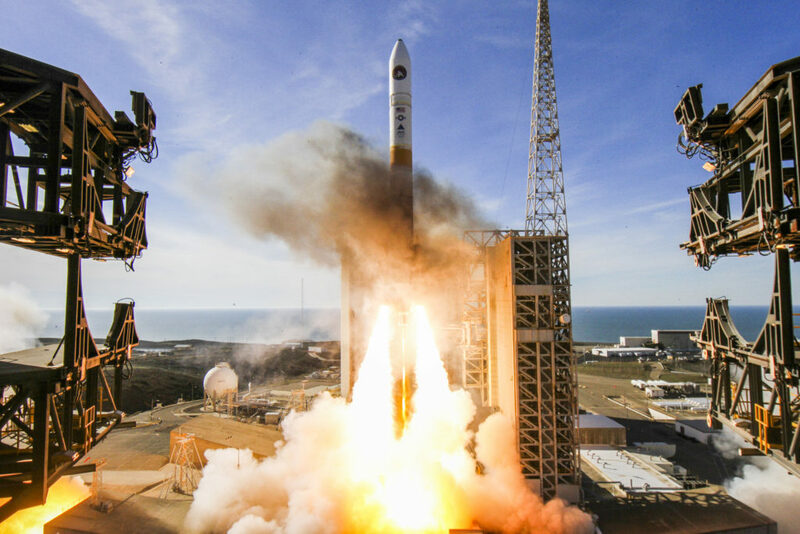 «Today’s launch is a testament to the tireless dedication of the ULA team, demonstrating why ULA continues to serve as our nation’s most dependable and successful launch provider», said Laura Maginnis, ULA vice president of Government Satellite Launch. «After recovering from Hurricane Irma that came through the area last month, and the last week’s weather challenges, the team found the right opportunity today to deliver this critical national asset to orbit». This mission was launched aboard an Atlas V Evolved Expendable Launch Vehicle (EELV) 421 configuration vehicle, which includes a 4-meter/13-foot PayLoad Fairing (PLF) and two solid rocket boosters. The Atlas booster for this mission was powered by the RD AMROSS RD-180 engine, and the Centaur upper stage was powered by the Aerojet Rocketdyne RL10C-1 engine. «I want to thank the entire ULA team and our mission partners at the NRO and U.S. Air Force (USAF) who made this, our 26th NRO launch, successful», said Maginnis. ULA’s next launch is the Joint Polar Satellite System-1 for NASA and the National Oceanic Atmospheric Administration (NOAA). The launch is scheduled for November 10 at 1:47 a.m. PST from Space Launch Complex-2 at Vandenberg Air Force Base, California. A United Launch Alliance (ULA) Atlas V rocket carrying the NASA’s Tracking Data and Relay Satellite-M (TDRS-M) lifted off from Space Launch Complex-41 August 18 at 8:29 a.m. EDT. 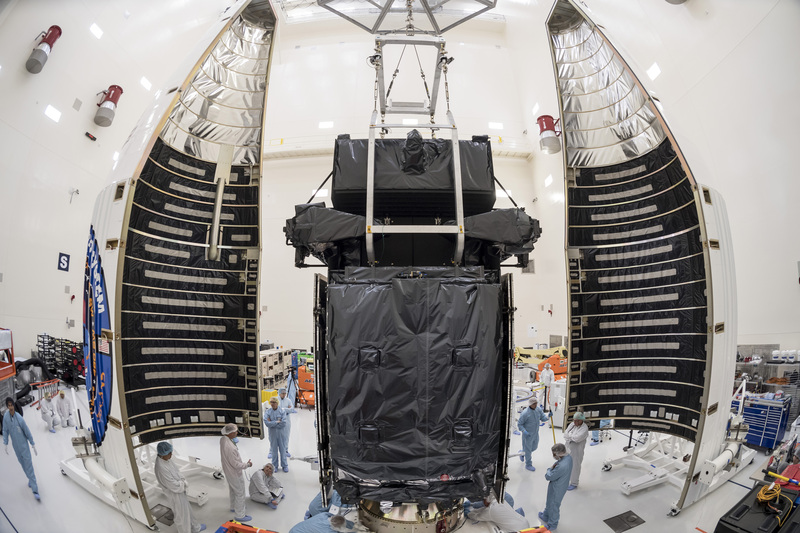 The TDRS-M is the third and final mission in the series of these third-generation space communication satellites to orbit, as part of the follow-on fleet being developed to replenish NASA’s space Network. 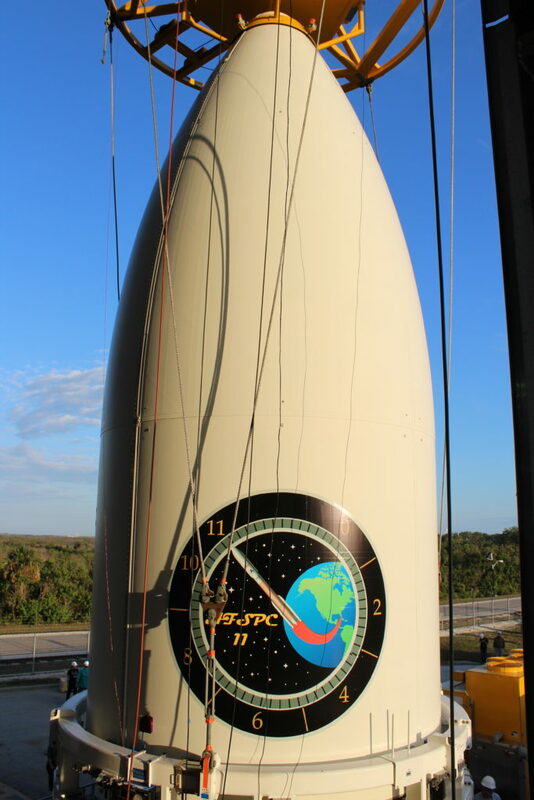 «ULA uses the TDRS system as a primary means of receiving and distributing launch vehicle telemetry data during every flight. In fact, the TDRS-K and TDRS-L spacecraft, launched by ULA in 2013 and 2014 tracked today’s launch», said Laura Maginnis, ULA vice president of Government Satellite Launch. «We are absolutely honored to have delivered this core NASA capability and critical national resource for our country». 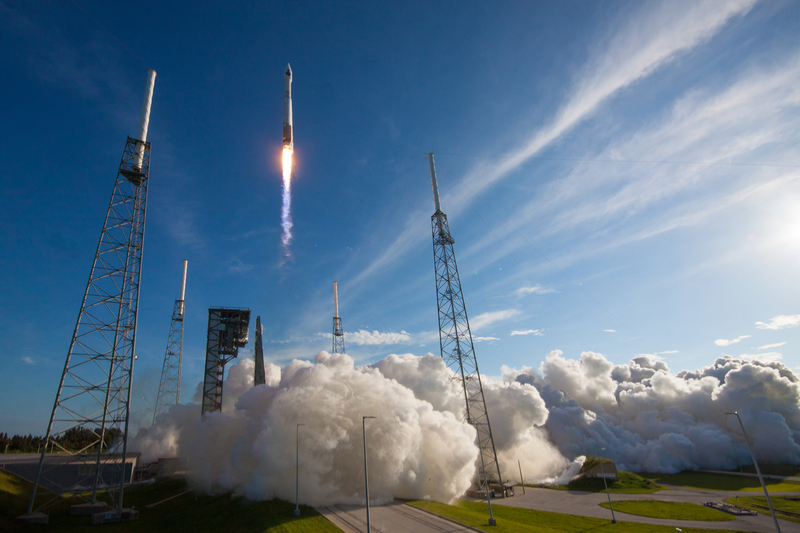 This mission was launched aboard an Atlas V 401 configuration vehicle, which includes a 13-foot/4-meter extended payload fairing. The Atlas booster for this mission was powered by the RD AMROSS RD-180 engine, and the Centaur upper stage was powered by the Aerojet Rocketdyne RL10C engine. This is ULA’s 5th launch in 2017 and the 120th successful launch since the company was formed in December 2006. «Congratulations to our entire ULA team and mission partners at NASA on another successful launch that will enable so many to explore and operate in space», said Maginnis. The Tracking and Data Relay Satellite System (TDRSS) is a space-based communication system used to provide tracking, telemetry, command and high-bandwidth data return services. Microwave communications equipment and gimbaled antennae are the primary payload of each TDRS. The system is capable of providing near continuous high-bandwidth telecommunications services for Low Earth orbiting spacecraft and expendable launch vehicles including the International Space Station (ISS).